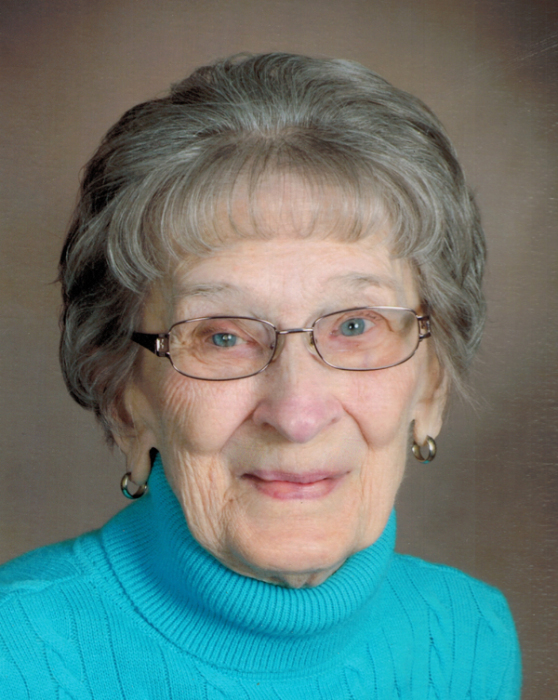 Ruth Winifred “Winnie” Cline, 95, of Davenport, Iowa passed away on Saturday, January 19, 2019 at the Clarissa C. Cook Hospice House, Bettendorf. A private family service will be held at McGinnis-Chambers Funeral Home in Bettendorf. Burial will be in Davenport Memorial Park Cemetery. Memorials may be directed to the Clarissa C. Cook Hospice House. Winnie was born on October 3, 1923 in Mt. Pleasant, Iowa, the daughter of Fred and Eva (Arnold) Oldt. On February 15, 1942, she married Arlo W. Cline in Burlington, Iowa. Prior to her retirement in 1988, Winnie worked 22 years in the elementary school libraries of the Bettendorf Community School District. She was a member of Asbury Methodist Church in Bettendorf. She is survived by her daughters, Deborah Mayhew of Bettendorf, Pam (Louis) Vaccaro of Chandler, Arizona; sister, Miriam Winter of Burlington; four grandchildren, Samantha (Aaron) Remley of Orion, Illinois, Kristin (Josh) Snowbarger of Bettendorf, Nicholas (Leslie) Vaccaro of Irving, Texas, Kelli (Shane) Foster of Chandler; and 3 great-grandchildren, Grace and Emilie Vaccaro, Cooper Snowbarger. In addition to her parents, she was preceded in death by her husband, Arlo; a sister, Jessie; two brothers, Richard and Willis; and a son-in-law, Steve Mayhew.